A run down 1st floor corner bar and rear apartment was transformed into a vital, new urban neighborhood restaurant and bar. 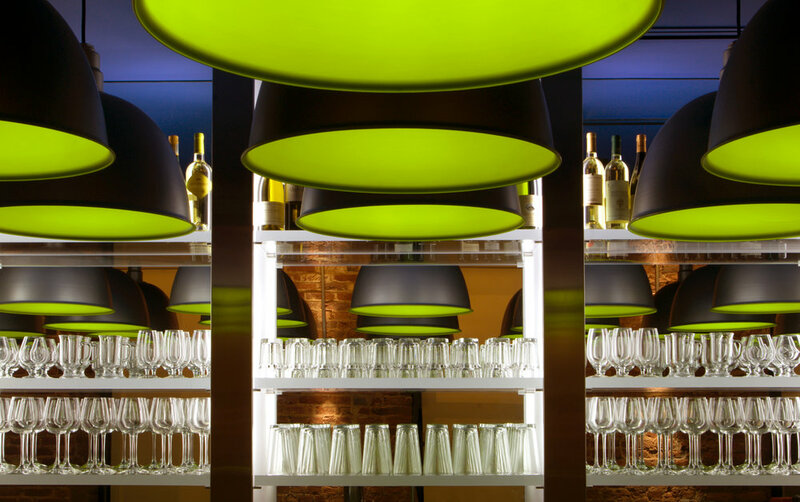 The bustling restaurant accommodates 75 bar/dining patrons, full kitchen, wait station, pick-up, dishwashing and toilet within a tight footprint. The corner was opened up by enlarging windows, which engaged the community and street life with views in from 3 directions. 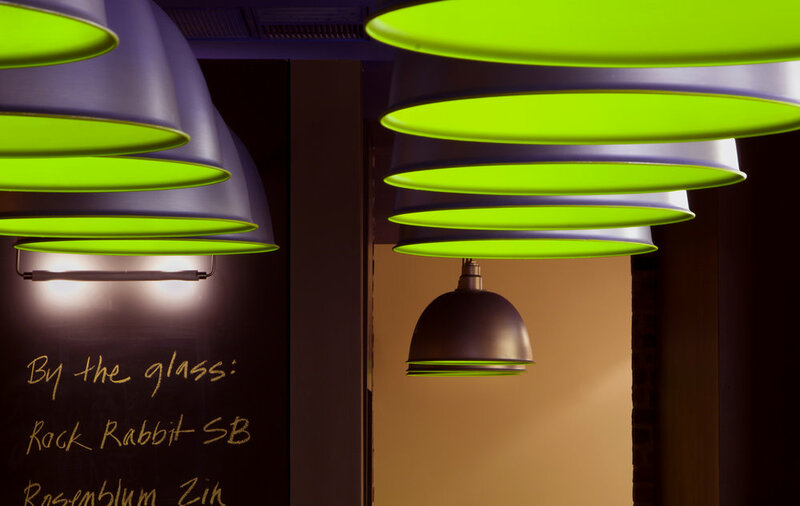 Factory pendants grouped into a plane of “pods” that glow chartreuse add gathering mood. This visual punch was complimented in the eating area that is defied by the warmth and texture of newly exposed, existing brick which is grazed with light.